IEEE is the world's largest professional association dedicated to advancing technological innovation and excellence for the benefit of humanity. IEEE and its members inspire a global community through IEEE's highly cited publications, conferences, technology standards, and professional and educational activities. The IEEE Electron Devices Society (EDS) is one of the technical societies & councils that you can join as an IEEE member. EDS began in 1952 as a committee of the Institute of Radio Engineers (IRE). With the merger in 1963 of the IRE and the American Institute of Radio Engineers, EDS became a technical group under the newly formed IEEE. In 1976 EDS became a society of IEEE. To respond to the more complex society structure and increased business activities, the Society established an Executive Office in 1990. 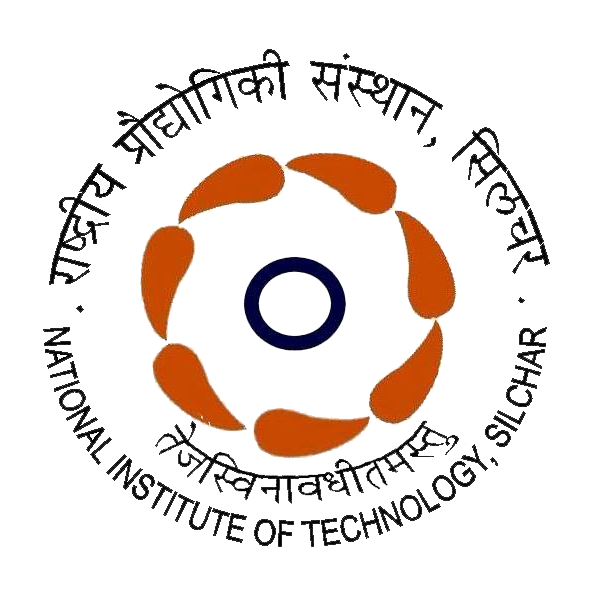 IEEE Electron Device Society Student Branch Chapter at NIT Silchar was formed on 6th May, 2013. Since its inception, it has sucessfully organized many workshops and DL talks in the college. 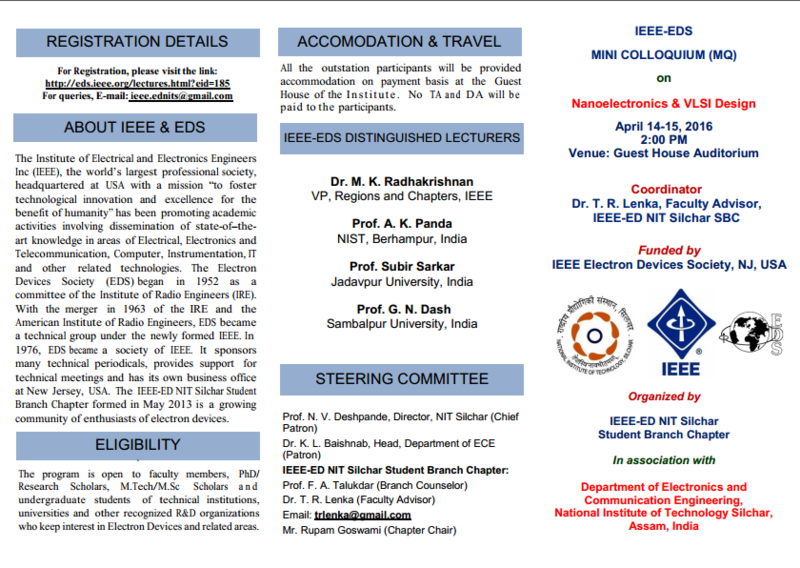 The IEEE EDS student branch chapter at NIT Silchar has got enromous support from the college authorities and we want to capitalize this opportunity to create a knowledge sharing hub of latest researches and development in the various fields for the students,scholars and faculty members of the North Eastern region by organising workshops, DL talks, seminars and hands-on session under the banner of IEEE-EDS student branch chapter.